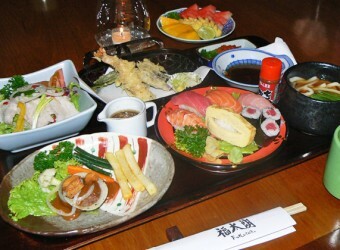 Bali Restaurant Fukutaro is a Japanese restaurant chain that is located in several places in Bali. You can find Fukutaro Restaurant in Nusa Dua, Kuta, Legian and two other outlets in Denpasar International Airport, total of 5 restaurants in Bali. Fukutaro provides delicious authentic Japanese food.